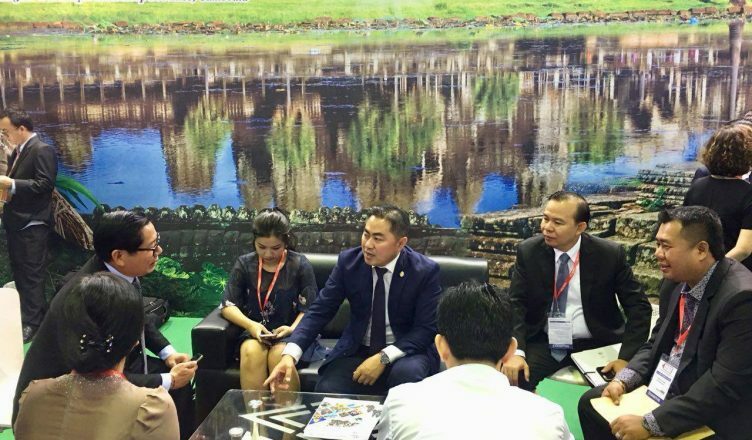 Cambodia Ministry of Tourism participated in International Tourism Exhibition and 14th Cambodia Night, Ho Chi Minh City, from 06 – 08, September. (Ho Chi Minh): Delegation of Ministry of Tourism, led by His Excellency So Mara, Secretary of State of Ministry of Tourism, high representative of H.E. Dr. Thong Khon, Minister of Tourism, accompanied by Ministry leaders, skilled officials, private companies, artists of Ministry of Culture and Fine Arts, attended in promoting Cambodia tourism, Cambodia Night, in the event of 14th International Tourism Exhibition, in Ho Chi Minh City, Vietnam, for the period of 3 days, ranging from 06 to 08 September 2018. In the morning of September 06, 2018, Mr. So Viseth, Under Secretary of State of Ministry of Tourism, attended in the official Inauguration Ceremony of the 14th International Exhibition Process consisting of companies and international tourists from over 50 nations from over the world attended. Come on 2018, there are 14 years; Cambodia Ministry of Tourism yearly participated in International Exhibition, in which there are about 300 exhibiting booths, joint by main companies, buyers, sellers and Medias from over the world. In the event of 3 days lasted 14th International Tourism Exhibition, Cambodia Ministry of Tourism also organized a program of Cambodia Night on 06 September to increase Cambodia tourism advertisement as well as showing the main attractive tourism potentialities, both culture and natural to international tourists at Rex hotel, in Ho Chi Minh City. In great Cambodia Night, H.E So Mara expressed that every years and also the fourteen year Cambodia always provided cooperation on International Tourism Exhibition, Ho Chi Minh City, throughout putting exhibiting booth along with excited culture and arts performances in attracting tourists to visit. H.E. Secretary of State continued Cambodia under sound leadership of Samdech Techo HUN SEN Prime Minister of Cambodia, the whole Cambodian people have been living in harmony with fully peace, stability and progress all the fields, in particular, tourism sector has profound progressed. In 2017, Cambodia received over 5. 6 million international tourists, increased by 11.8%, and in first semester 2018, Cambodia received over 3 million international tourists, in grow rate of 12.7%. In 2018, Cambodia is expected to receive total 6.2 million international tourists. The Cambodia Night, H.E. 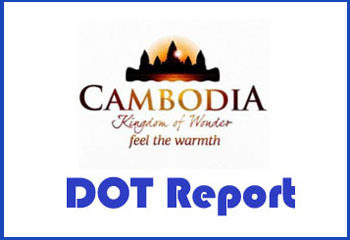 Secretary of State is confident that “Cambodia will gain investments and tourists from all directions, especially more Vietnam tourists” due to Cambodia has many driving factors; for instance, recently, Cambodia’s a famous heritage and cultural tourism destination, Angkor Wat Temple, received global award from TripAdvisor as World’s Best Landmark for 2018 in Traveler’s Choice Award. Cambodia tourism destination is face sharply transforming, becoming qualified and high competitive advantage tourism destination to welcome tourists from over the world. Constant development makes Seim Reap – Angkor, Phnom Penh and coastal areas receive tourist attractiveness coming to visit more and more, especially the Capital of Phnom Penh, heart of Cambodia, is becoming a main tourism destination, MICE, in the region as well as infrastructure and tourism fitness have been sharply developing. Please remind that Vietnam is a main tourism checkpoint of Cambodia both Vietnamese tourists and third tourists. Vietnamese tourist is ranked 2 after Chinese tourist from land and air routes. Ministry of Tourism actively tried to continue advertisement to Ho Chi Minh market of 14th Exhibition with the participation from 12 private companies.